Mark Hellerstein has been performing as an award-winning puppeteer and ventriloquist in Colorado for more than 50 years. As a former student of legendary ventriloquist, Sammy King, Mark has been fortunate enough to have learned from one of the best and has worked diligently to hone his craft through Puppets & Things on Strings. Not only was Mark once named the winner of the Colorado Stars of Tomorrow contest and the Community Resources, Inc.’s “Presenter of the Year,” but the authority on ventriloquism history, Valentine Vox, named Mark one of the most talented ventriloquists in the world. Puppet Shows for Schools, Early Childhood Education / Preschools and Libraries! Educational programs include Safe from the Start and the Street Cred Code of the West. 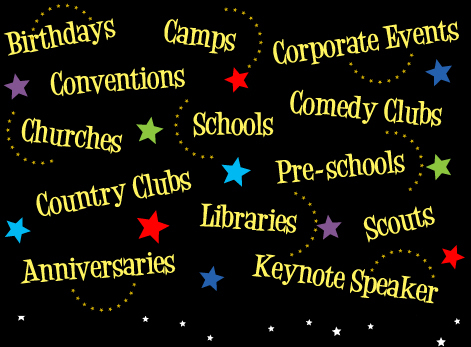 Whether for corporate events, family parties, galas or adult living communities, Mark provides a fast-paced program of comedy and audience participation that can be tailored to your specific needs. Ready to book your own puppet show for a special event in Denver, CO? Contact Puppets & Things on Strings at 303-378-5392 today for more information!